This is my first shot at Kozukattais/ modagams. We do not celebrate Vinayagar chatruthi. So this is specially for all my blog followers who celebrate this festival! 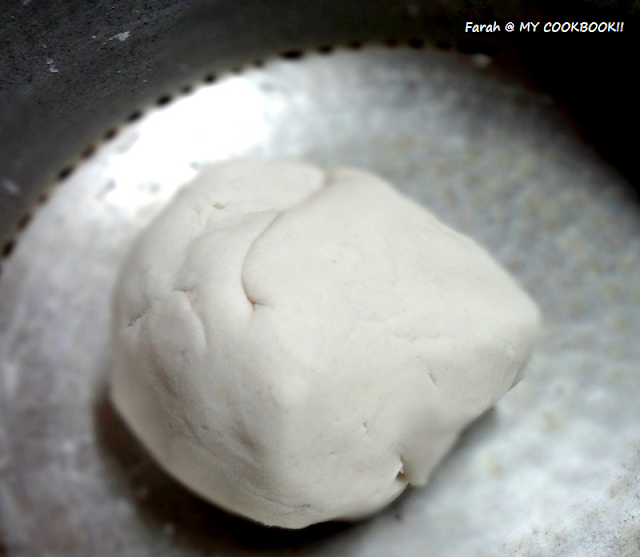 :) I got this recipe from sharmis passions. If you need more detailed pictures you make check out her page! 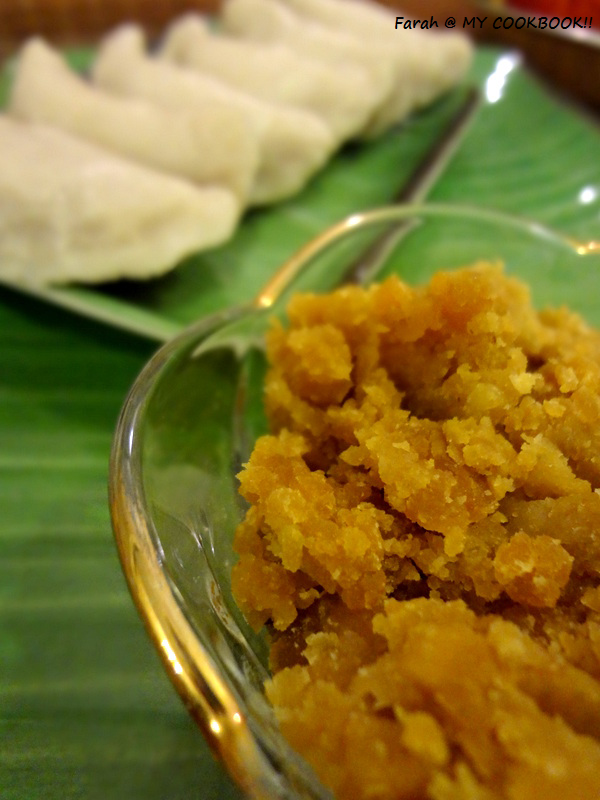 In a bowl, add the jaggery and add warm water just enough to cover the jaggery. Dissolve the jaggery and then strain it. Transfer the liquid into a saucepan. 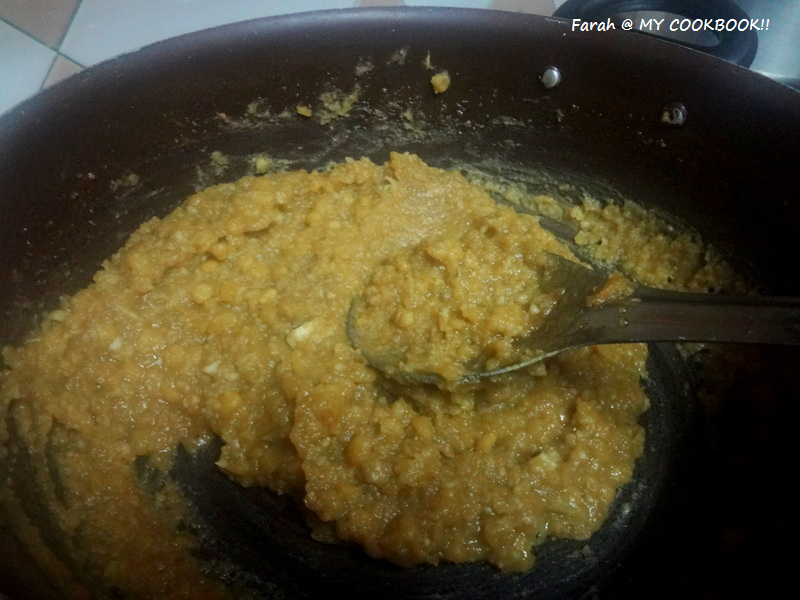 Once the jaggery starts to boil add the mashed channa dal, coconut and the cardamom powder. Keep stirring till the mixture thickens and starts leaving the sides of the pan. In another bowl add oil and salt to the rice flour. place a small ball of the filling (less than a lemon size) in the cente and bring the corners together. press the sides. 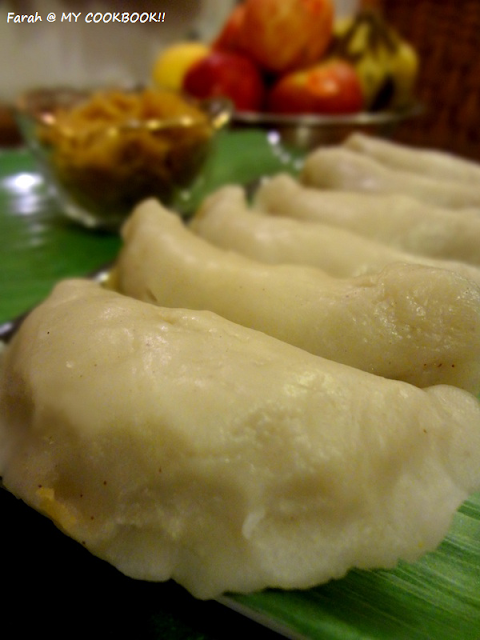 steam the prepared modaks in a idli steamer for about 10 mins. 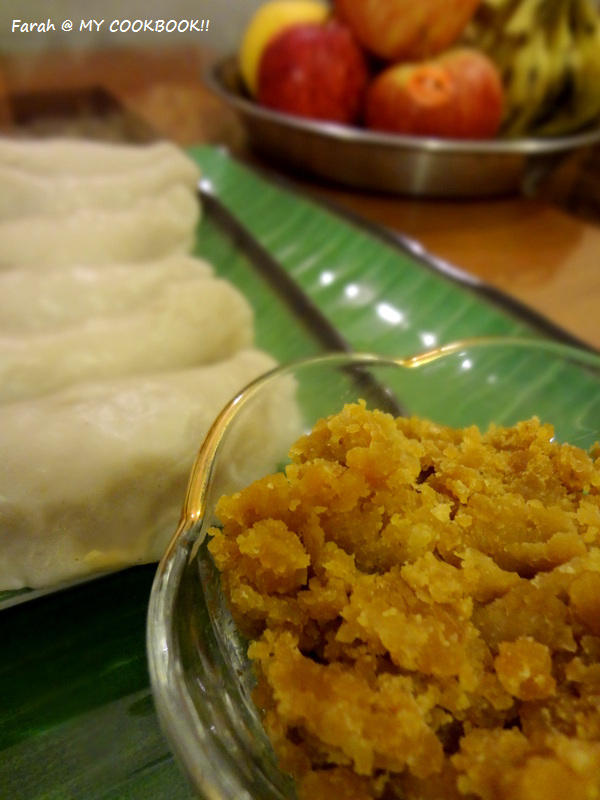 when the outer layer is shiny, your modaks are done. looks well done and that it is your first effort doesn't show ! Prefect looking kozhukattais, drooling here. I saw the website really informative..